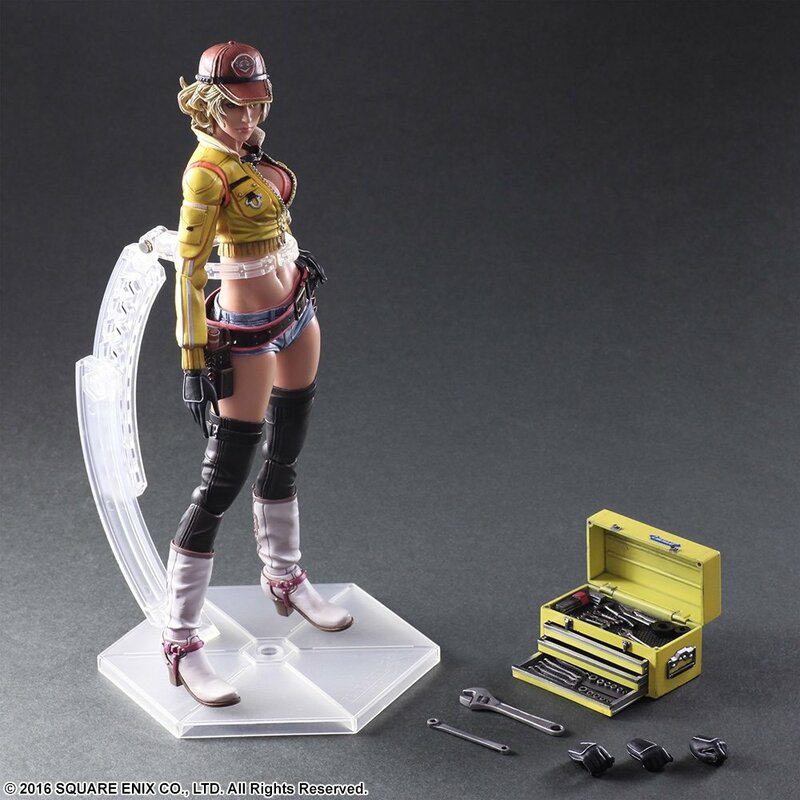 Cindy is a popular mechanic known for her bright and cheerful personality who handles the day-to-day tasks at Hammerhead, her grandfather’s body shop in the Kingdom of Lucis. The sculpting and paintwork of this figure recreate her distinctive outfit. She dons her signature hat and jacket, both adorned with the Hammerhead shop logo; each has been re-created in the utmost detail, down to the texture. 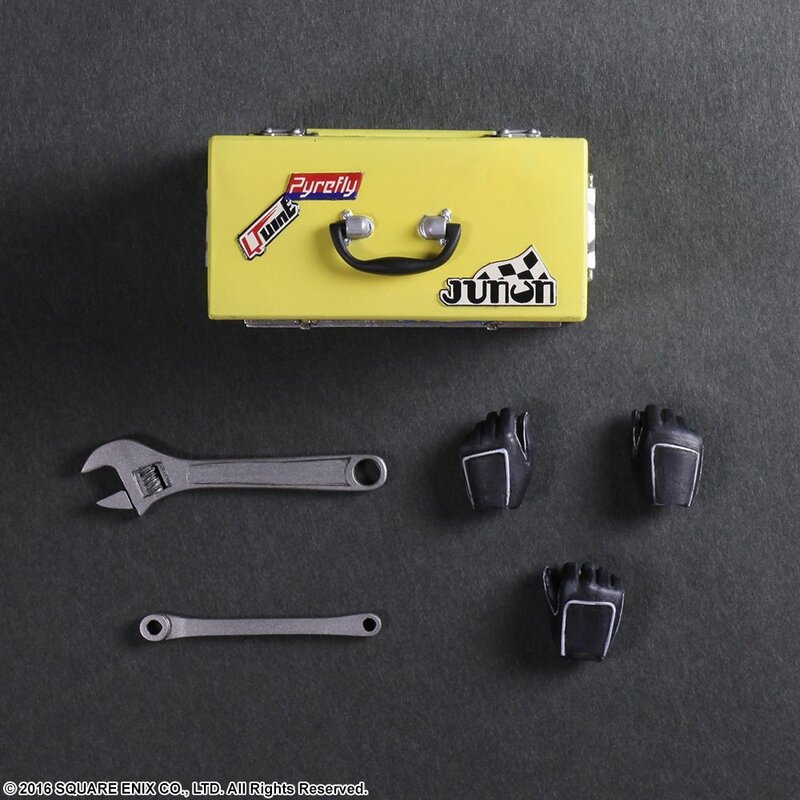 Her toolbox has also been re-created in fine detail and reflects the extent of its use, taking on the patina of daily wear. Every aspect of Cindy’s design has been exhaustively incorporated into the figure, even down to her tan lines. Figure Size (inches): W 4.6" x D 2.3" x H 11"